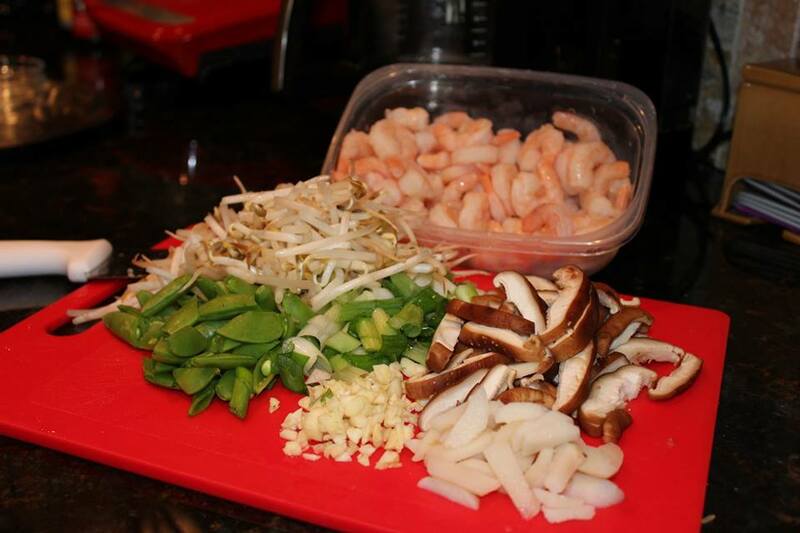 Smarty Marty foodie Tuesday recipe idea this week is a take out favorite... She's cooking up some shrimp fried rice. 1st and foremost we must gather up the ingredients needed for the dish. In a saucepan bring water to a boil. Add rice and stir. Reduce heat, cover and simmer for 20 minutes. Set aside and allow rice to cool. Heat a large skillet or wok for 2 minutes. When the skillet or wok is hot, pour in vegetable oil, bean sprouts and onions. Mix well and cook for 3 minutes. Mix in cooled rice and shrimp and cook for another 3 minutes. Stirring constantly. Mix in green onions, eggs, salt, pepper, soy sauce and sesame oil. Cook for another 4 minutes, stirring continuously, until eggs are cooked and everything is blended evenly.